rear knuckle upper spherical discussion - Page 21 - Miata Turbo Forum - Boost cars, acquire cats. Just a question here ... 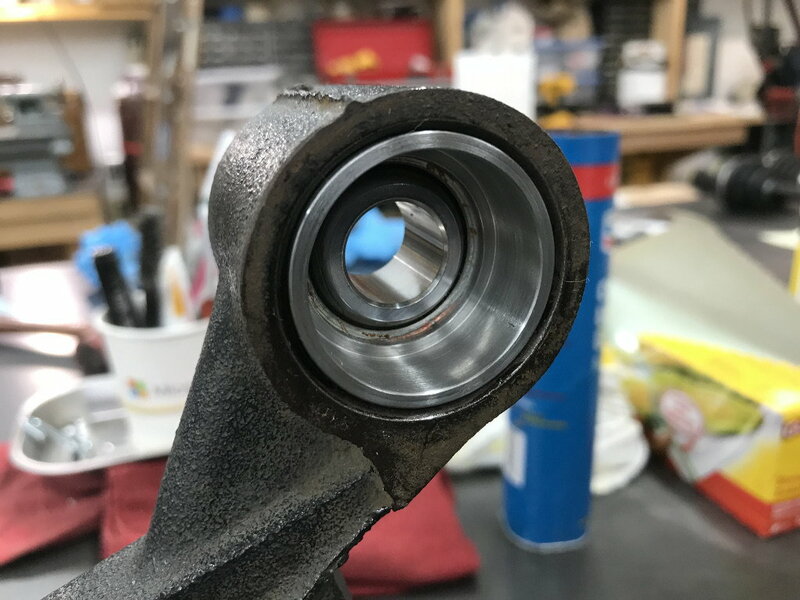 I am finally getting around to installing the spherical bearing kit in my rear uprights. 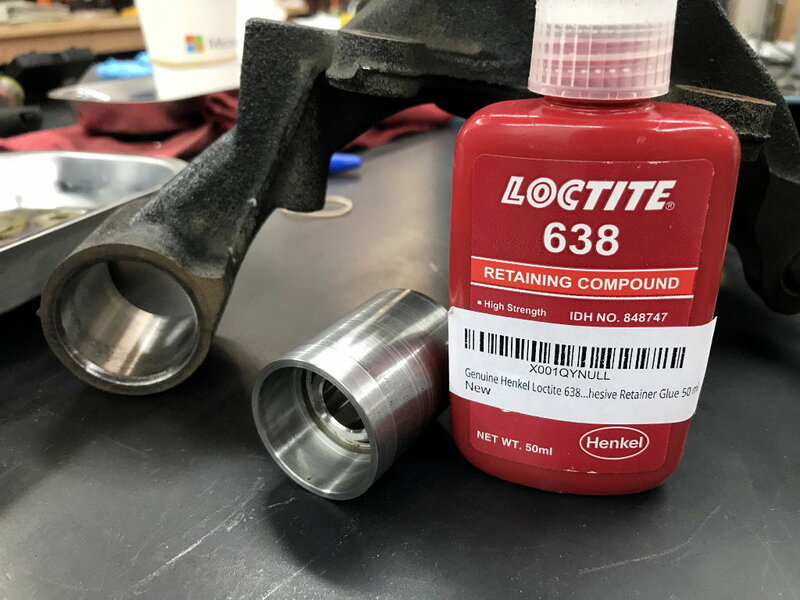 Earlier in this thread, one post mentions that the bushing is an easy slip fit into the upright, and that the OD of the bushing is 1.495". My bushing is 1.501", and the ID of my rear upright seems to be around 1.498", maybe as low as 1.496" (I measure one side slightly smaller than the other). Was the design of the bushing changed at some point to be a press fit? .005" is not intereference fit on steel, it's "does not fit". I would take the upright to a machinist and have it reamed to size. Well, I'm hoping Sean chimes in, I'm curious if he intentionally made a design change that would require a press. I agree, .005 is no press fit. I'm going to try and hone out the bore of the upright a bit more, I would think it'd be more like 1.498" like the other side. If it comes to machining stuff, I have a lathe in my garage ... I'm no pro, but I'm sure I can turn a couple thou off the bushing if required. Speaking straight from my ***, my money is on dimensional variance at the upright. Remember that the OEM is sticking a rubber bushing in there which will easily absorb a 0.005" variance in ID. Dimensional variation in the upright is probably some of it. I went back yesterday after zeroing my calipers properly and the upright varies between 1.495" and 1.500" ... it's not round. 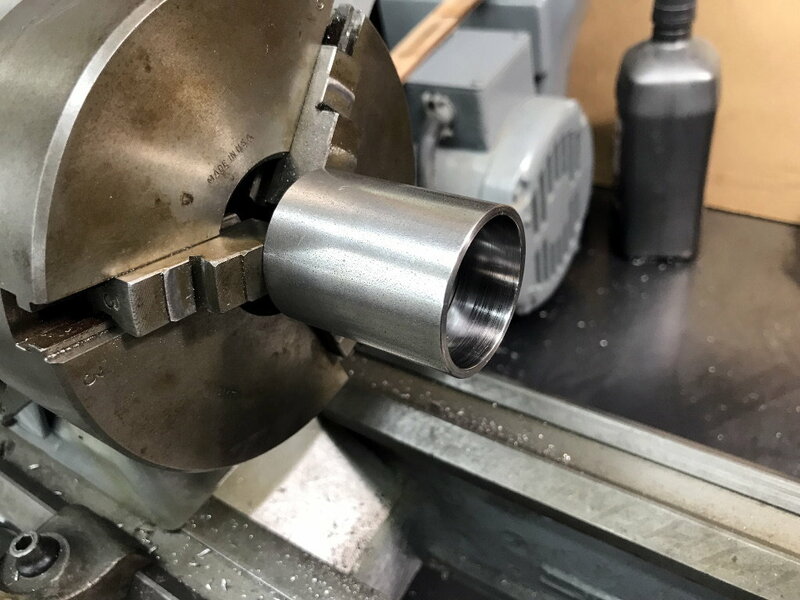 The bushing is a perfect 1.500". Earlier in the thread, the bushing was described as being 1.495" ... so I think that changed at some point. I turned a piece of round stock to 1.492" yesterday and it's a touch too loose. I think 1.495" will be perfect. I'm going to turn a test piece and see before I touch the bushings. I got this done this morning out in the garage. Turning them down to 1.495" made them a stiff fit partway through by hand, and easy with the vise. I didn't worry about the finish on the OD, I figured it would help the Locktite grab better. I'm happy with these results.